A major, unique, high quality tourist attraction for Queensland. Planning for The Australian Chocolate Centre to be built in Mission Beach, south of Cairns in Tropical Far North Queensland is underway right now. This is a fabulous location next to Maria Creek and overlooks the Crocodile Range State Forest. This will be a world class venue, totally unique in Australia and one of only three in the world to offer a complete “cocoa tree to chocolate bar” experience to visitors. Visits will commence with a cocoa plantation tour walking amongst the trees viewing the cocoa pods growing on their trunks and watching them being harvested. After this visitors can see how the cocoa pods are harvested, split to release the beans (there are upwards of 50 cocoa beans to a pod). The beans then undergo a fermenting process and are then dried before processing into chocolate. Visitors will be able to view the manufacturing process of the chocolate in Charley’s Chocolate Factory. This will show how the beans are roasted then winnowed, conched and tempered. All this culminates in the production of Premium Single Origin Chocolate and chocolate tasting. You will also be able to see an interpretive history of chocolate; cocoa’s history, dating back some 3800 years. How it’s grown and been processed over the years and turned into chocolate is one of the most fascinating stories of all foods ever told. Very few people know anything much about chocolate other than that what they like and what they see in supermarket aisles or on cooking shows. The Australian Chocolate Centre wants to change all that so visitors will go away understanding just why chocolate is known as “the food of the gods”. At the Australian Chocolate Centre there will also be a “chocolate café” and a retail shop specializing in all things chocolate. In addition the centre will be offering chocolate making courses and chocolate themed events. Chocolate Week is planned to start on International Chocolate Day 13th September 2016. 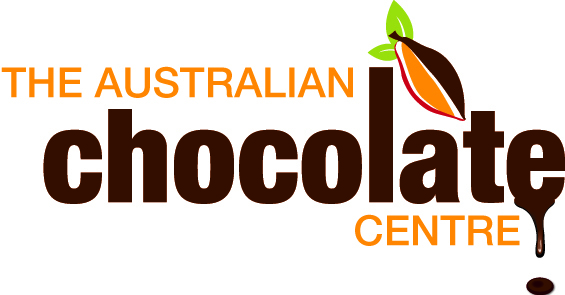 The Australian Chocolate Centre is due to open in stages from mid 2016 onwards. We will keep everyone up to speed with the progress on this web site and in our chocolate newsletter. To register for the Australian Chocolate newsletter “Chocolate Source” simply enter your details in the Newsletter panel below.